A case has been filed for obstructing police from performing their duties and attacking them during clashes between two factions of Tabligh Jamaat on the bank of the Turag River in Tongi on Saturday. A sub-inspector of Tongi Police Station filed the case accusing 20-25 unidentified men on Sunday night, said the officer-in-charge of the police station Emdadul Haque. 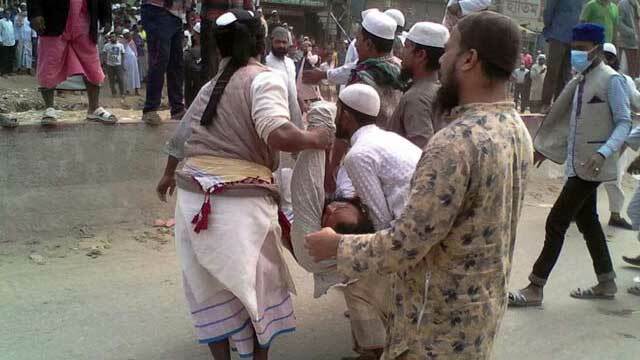 A man was killed and at least 60 others were injured in a series of clashes between two factions of Tabligh Jamaat for establishing control over Ijtema Maidan on the bank of the Turag River in Tongi.